5 Best Amusement Parks In The US. Summer time is upon us and what many families and couples plan for that special season is a trip to the amusement park. There are plenty of famous places that offer you a plethora of attractions and plenty of fun! Sometimes it may be even difficult to choose which one to visit, but when you are in search of classic family fun and an activity that is enjoyable for all ages, you simply can’t go wrong with the following ones – read on to learn more about the best amusement parks in the United States! Are you an adrenaline junkie, the type of person who lives for the sort of rush that only a roller coaster can provide? Then Cedar Point is definitely the place to be. This amusement park is located in Sandusky, Ohio and is touted as the world’s roller coaster capital. Whether you are traveling with your children or you are just a big kid yourself, this amusement park provides no shortage of thrills and enjoyment for any age group. One of the hardest parts about finding a suitable summer activity are the costs that tend to be involved. 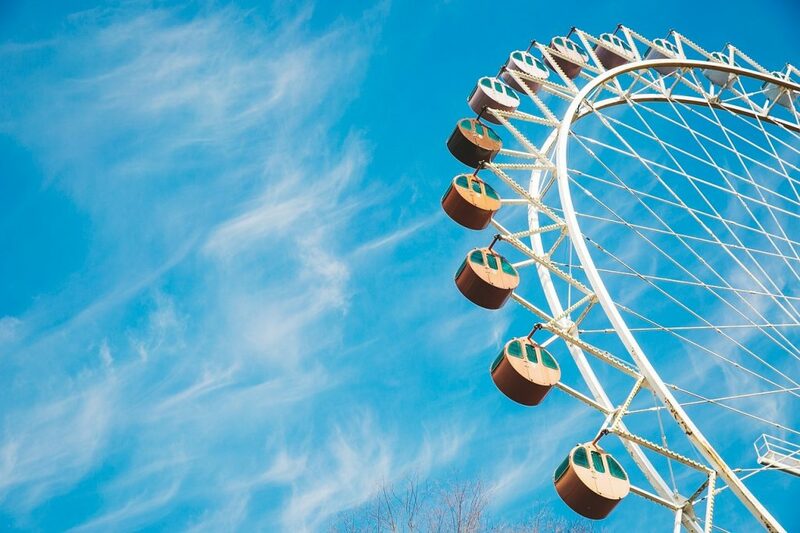 Traveling to an amusement park comes with a lot of incidental expenses, but thanks to Knoebels and their free parking/admittance policy, thrill seekers can save a bundle when it comes time to budget for their trip. Families that are willing to make the journey to Elysburg, Pennsylvania can spend their day eating and riding, at a fraction of the cost of most amusement parks! And if you prepare for the trip with Kohl’s coupons from Discountrue.com it’s sure to prove even more affordable. Of course, no list of great amusement parks would be complete without the Walt Disney Magic Kingdom. Widely considered to be the happiest place on Earth, this is an amusement park that will require a much more generous budget, but is still well worth your time. Your children can enjoy having the chance to meet all of their favorite Disney characters and there are plenty of attractions to keep adults interested as well. Not to mention, you can get your happily ever after there since you can get married at Disney in The Magic Kingdom. This Orlando amusement park is a popular destination for Harry Potter fans, as people from all over the world dream of visiting the Wizarding World. However, there are also a wide range of roller coasters to enjoy and 3-D rides for the little ones. Adults are sure to enjoy all of the nearby night life and restaurants and visitors should definitely take time out to sample the non alcoholic butterbeer. Six Flags Magic Mountain has been consistently adding roller coasters since its inception and this California tourist attraction now has a whopping 18 coasters to choose from (1 more than Cedar Point! ), in addition to its natural Hollywood flair. Whether you are the type to seek roller coaster related thrills or you would prefer to stay on the ground, Six Flags Magic Mountain has got you covered! Have you been to any of these parks? I have been to Disneyland. The others on a someday list, although thanks to your information, Knoebels is a new addition to the list. Awesome, hope you make it to all of them! Disney and the Magic Kingdom are my faves; there is a sense of magic and awe which no one else can seem to copy. I would love to attend any of these. Granted I cannot do the rides as well as I did when I was younger, but I am game to go anyways!